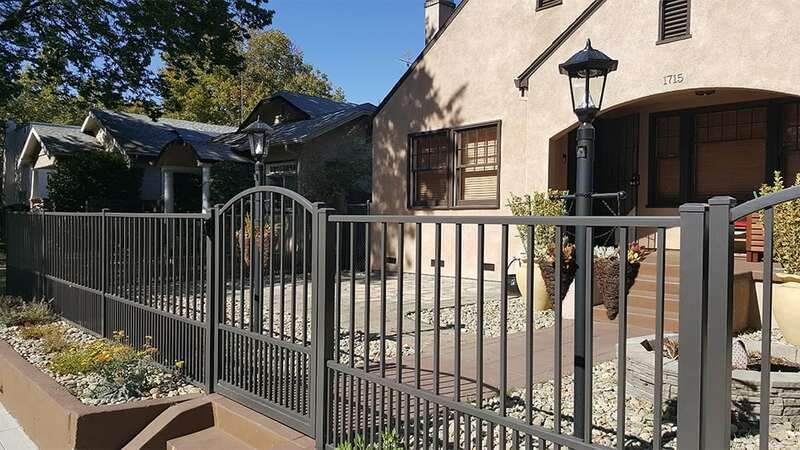 Building Quality Residential Fences in Sacramento, CA | Classic Fence Co.
A fence is not simply a fence. It has different meaning and uses depending on the individual and their situation. A fence can be used to set boundaries, provide privacy, add security and or add beauty. A fence can enhance the mood in a backyard space, make the front yard usable for the family or simply serve the purpose of denoting a property line. Your fence is part of your home and should add to the style and beauty of it. Classic Fence Co. specializes in building beautiful fencing projects with high quality fencing materials and personalized service. Our staff discusses each step of the project with you from scheduling the estimate to completing the project. We ultimately would like to assisting you in understanding your needs, and present options for you to consider. Each day we strive to offer high quality wood, aluminum, vinyl, or ecostone fencing materials. We hope to provide you with fencing material that is stylish, as well as functional. Our wide selection of materials and styles allows us to address a variety of fencing needs. We have a large selection of materials and styles to choose from. We look forward to helping you determine which material and style is right for you and your home. Call Classic Fence Co. for a free estimate! There is so much more to a wood fence than just fence boards. We have many lumber mill relationships that have allowed us to more closely be involved in the type and quality of the material being used. 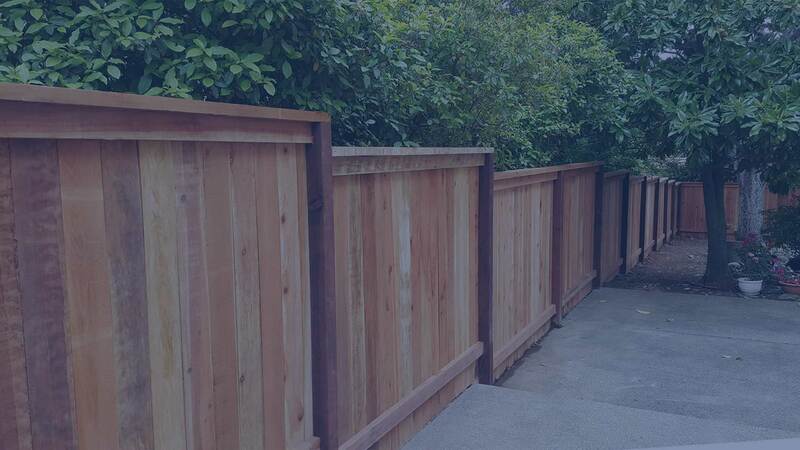 Our fence boards and 2×4’s (rails) are made of redwood while the posts and kickboards are typically pressure treated douglas fir. 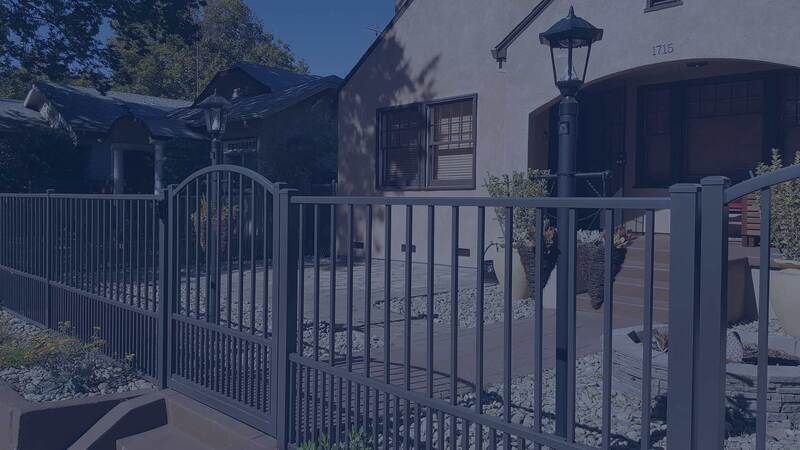 We also offer a variety of metal fence post options. 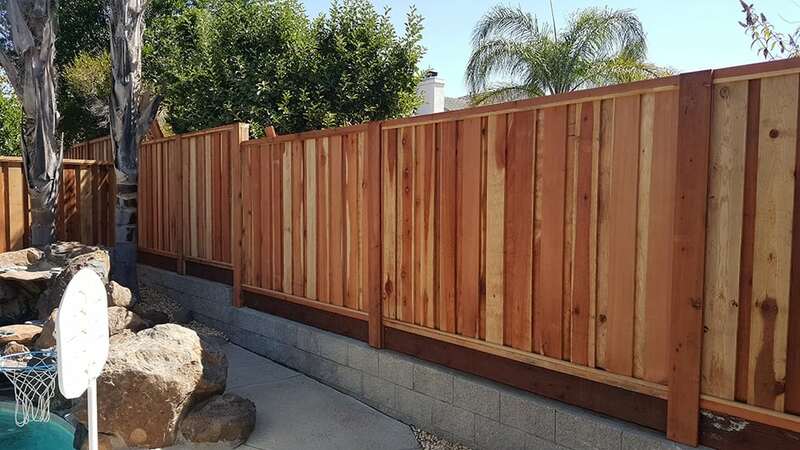 In our search to build a beautiful, long lasting fence, we have chosen to offer California Native, Sustanably Harvested Redwood. This hearty wood is beautiful in its natural state, but can also be stained. We offer a variety of wood fence styles for you to choose from. Their experience, flexibility and communication prove they are pros in this field. My neighbor and I are very happy with the quality workmanship of the fence and it was a competitive price too. UNBELIEVABLE JOB BY CLASSIC FENCE! Tony and his crew did an amazing job. Tony came out and gave us a quote, and we had to book out a couple months due to the amount of work that was scheduled before us, but it was worth the wait. The most professional crew we ever have seen. NO NEED FOR OTHER QUOTES, THIS IS THE ONE TO GO WITH!!! The communications with them have been super clear and they are on the dot with everything they said they’d do. I am so impressed with their work, when it’s time to replace the other side of the fence I’ll definitely be calling them again. Classic Fence is a class act. Wow, I was impressed. Mark was super thorough in explaining the process, the options, and timeline. Prices were dead-on with the other bids, but with higher quality lumber. The crew was on time, totally professional, and did a great job removing the old fence, setting the posts, building the new fence, and cleaning up. The end product was fantastic. This is by far THE BEST FENCE company around! There was a lot of negotiating between ourselves and our neighbor. At one point it got ugly. I have to say that Classic Fence went above and beyond to help mediate the situation and ensure we had a fence that both parties would be happy with. Classic Fence is by far the best fence company around! They provide a superior product and fantastic service. We decided to use them based on another beautiful fence they built in our neighborhood and they did not disappoint! We liked the fence so much we decided to use them for a second fence. We are sending in the contract for a third fence tonight. They have definitely earned all of our business! We care about quality and more importantly, we care about you! We believe in quality products and superior craftsmanship. When you call to schedule your free estimate, you’re greeted by our professional office staff who spends time with you to understand what you expect from us. Our estimator will walk the property with you to understand your needs and gives a full explanation of the job and what it entails. When you’re ready for us to start on your project, we send craftsmen with experience in quality fence installation. Once we’re done, we’ll walk the property with you again to ensure we’ve met your expectations. We are a locally owned family business. We are licensed, bonded and insured and drug test all of our employees. We strive to create a family environment for our crews and for our customers. We don’t just work in the Sacramento area, we live here and we care about our neighbors. That’s why we’re proud to support community non-profits like The Boy Scouts, Sacramento Sheriff, and young adult ministries. 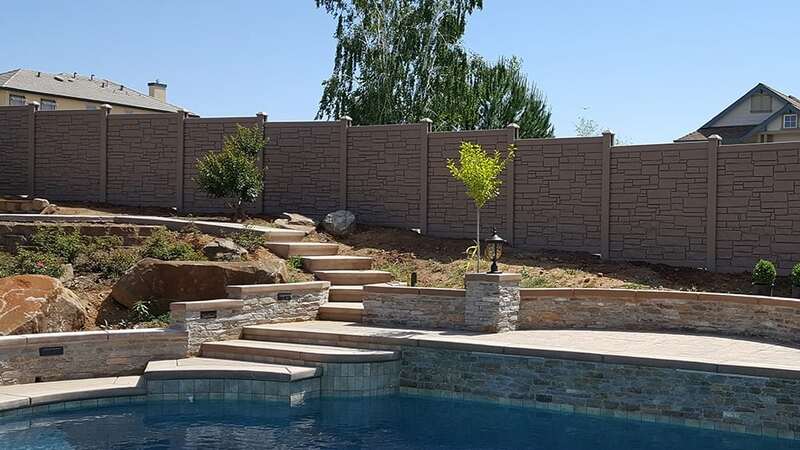 We have built fences for clients all around Sacramento including, Roseville, Carmichael, Fair Oaks, Folsom, El Dorado Hills, Rancho Cordova, Rocklin, Mather and Granite Bay. We are in and out of the office. Please schedule an appointment if you would like to stop by. At Classic Fence Co. we are passionate about fencing. We believe in quality products, and superior craftsmanship. We want to thank you for considering Classic Fence Co. for your next project.